Looking for the missing links to your car? Looking for the performance of a race car but don’t want to sacrifice ride comfort on the roads? Upgrading your car’s suspension is a quick way to dramatically improve your car’s handling and cornering attitude. 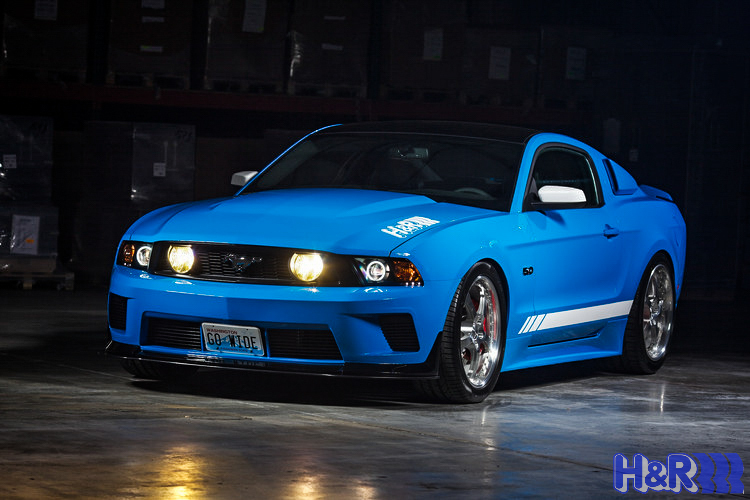 H&R has been a trusted manufacturer of race-proven suspension since the 1970’s. Maximum performance can be achieved on and off the track with the ride height adjustment system. 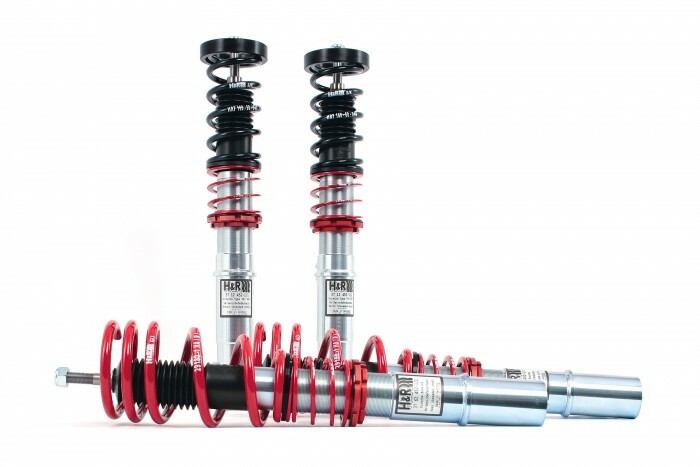 Engineered for street and occasional track use, H&R Coil-Overs feature a fully-threaded shock body (not an imitation sleeve-over) that allows you to precisely dial in height adjustment to achieve optimum weight transfer, or simply get the aggressive look you've been looking for. Featuring H&R's exclusive dynamic damper technology, each shock is engineered to work in harmony with a progressive-rate spring, together creating a finely-tuned suspension system. "The H&R Coilover suspension is comfortable, but it whispers fun into the driver's ear, rather than using its 'library voice' of luxury" -- European Car. H&R prides itself on its numerous 'firsts' and innovations that have revolutionized the suspension industry. One of H&R's ingenious creations is its exclusive, patented rear height adjusters. Used for height adjustment in vehicles that have a separate rear spring / shock setup, the H&R exclusive Rear Height Adjusters in effect replace the lower rear spring perch with an easily height adjustable spring seat design. Using a hex key, a simple twist of the wrist is all that is needed to raise or lower the rear of the car. H&R's exclusive Rear Height Adjusters accompany some BMW applications.